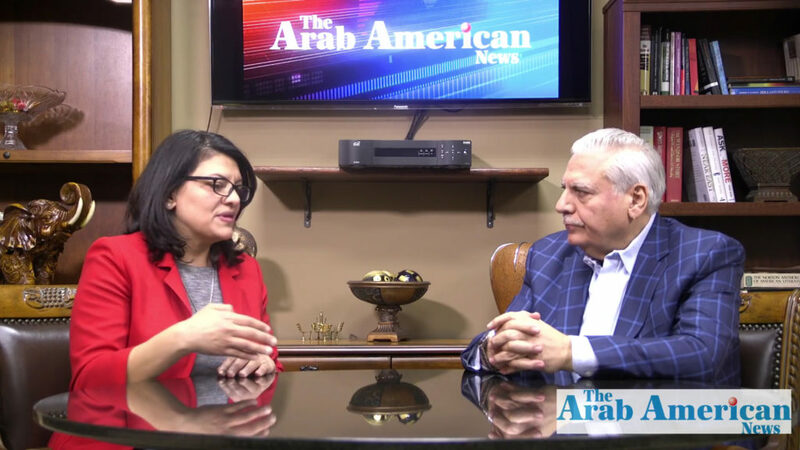 DEARBORN — U.S. Rep. Rashida Tlaib (D-Detroit), sat down with The Arab American News on Saturday, Feb. 2 to discuss her first month in office and her explicit remarks in November about impeaching President Trump. She said she faced criticisms, received hate mail and a death threat before making the remarks and during her campaign. Tlaib cleared up what she called a “misunderstanding” that she said the explicative in front of her children. 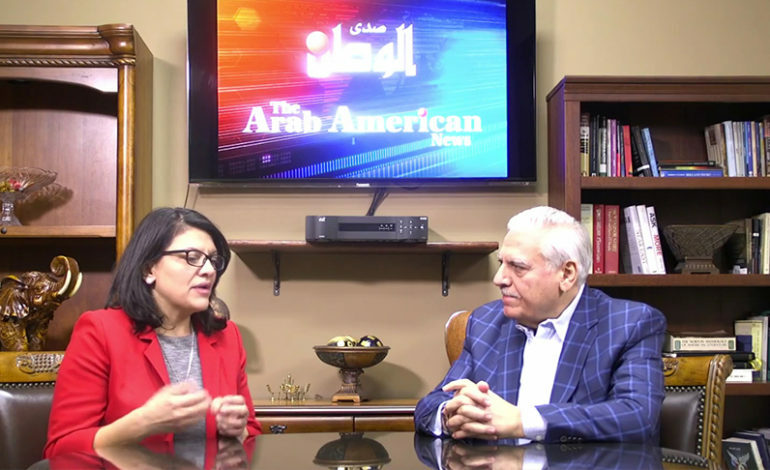 Tlaib said that directness applied to Arab Americans business owners in her own community when she faced pressures from people who wanted her to support her community. “If you’re not following the law I’m going to go after you,” she said. She said she felt like constituents in her district feel proud of her statement. Tlaib said she thinks people knew she ran with the intention of attempting to impeach President Trump. She said U.S. Rep. Elijah Cummings (D-MD), chairman of the House Oversight Committee, asked her to serve on the committee along with Reps. Alexandria Ocasio Cortez (D-NY), Ayanna Pressley (D-MA) and Katie Hill (D-CA). “My articles of impeachment are going to be solely based on the fact that in the Constitution there’s a clause that states any sitting president of the United States has to completely divest from their foreign or domestic investments,” she said. “The Trump organization is still being run by this president,” Tlaib added. “It creates conflict. They know this is a part-time gig and they’re not going to be there forever. Tlaib said Trump’s presence in the White House could lead to more CEOs and business people with conflicts of interest running for office. She also said three other members of Congress have filed articles of impeachment. Tlaib said she doesn’t think her filing for impeachment is premature and that the action “opens up the books” to start a conversation about the issue. Many have criticized Tlaib as being anti-Semitic for her position in support of the Boycott Divestment and Sanctions movement, which calls for withdrawing support for Israel and Israeli companies. She said she supports the rights of student organizations and individuals who choose to economically boycott Israel. 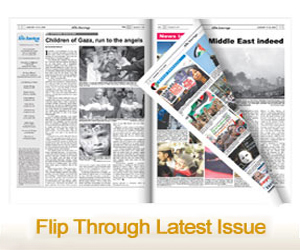 “So much of our history and so much of what we do as freedom of speech is through economic boycott,” she said. Tlaib recently joined a protest of GM’s planned plant closures during the charity preview of the annual North American International Auto Show in Detroit. “I decided to be with my residents,” she said. Tlaib said she hasn’t yet picked a presidential candidate for endorsement, stating her focus is on starting four community service centers in her district, one of which opened in River Rouge last week. She said it’s important to her that candidates’ campaign financial reports aren’t “filled with corporate PACs. Next article Sudanese Americans protest “genocidal” president, prepare for rally in Washington, D.C.